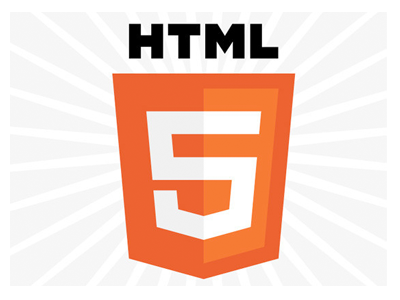 You are here: Home / News / Industry News / Will HTML5 Ever Catch Up to Flash on Features? While reading Transitioning.to, a blog ‘Supporting the Flash Community’s Diversification into New Technologies’, I came across a good post about Flash vs. HTML5. Well, will HTML5 do it? I say yes, and no. I’m underlining here the fractured nature of the HTML5 offering. I think HTML5 is awesome. It can do so much, it performs so well, and as a developer I love that it ‘compiles’ in 1 second instead of 5 or 10 or more with Flash. I think that the low level capabilities we see in HTML5 on Chrome (for instance) facilitated by a useable library (such as a game framework) could cherry pick most any feature offered by Flash and create compelling feature-parity. It could create competition feature per feature. However it is more correct to ask and more challenging to expect that that one feature-set to easily play with some other set of features created by some other developer for another library perhaps focused on another platform or device. HTML5 is by its nature spread more thin than the ‘closed’ Flash System. This allows for more freedom in what the community can do but also places a huge responsibility on the community. As a game developer, there exist, today, HTML5-based game engines which present an compelling alternative Flash. Some are playable only on the hottest latest browsers, some can also be packaged to mobile ‘apps’ and offered in mobile marketplaces, and some need some time before they can be played by enough people. Depending on the target audience (and their browsers and devices) the feasibility of using a game framework may or may not be viable yet. What I suspect is that based on early adoption, solid bug and new feature management, and good marketing several of these game frameworks will mature and become defacto choices for game development. But then the question is not – can HTML5 ‘catch up’ to Flash, the question becomes – can ‘Game Framework X’ catch up to Flash. Relevant to this issue, I have recoded one simple, complete game using many (13 as of today) different game frameworks. Check out all the source and learn from it. Its all available free and it is ideal for those who are interested in transitioning.to. 13 Responses to Will HTML5 Ever Catch Up to Flash on Features? is slow and totally a bad language choice than to do anything other than that making elements appear and disappear probably with fading effect. Much thanks! It a incredible webpage!. Thanks a ton! This is an awesome site!. I like browsing your internet site. Thanks for your time! Hey there! This post couldn’t be written any better! Reading this post reminds me of my previous room mate! He always kept chatting about this. I will forward this article to him. Fairly certain he will have a good read. Thank you for sharing!